Catalytic stoves started appearing on the scene in the mid 1970's as a resource to meet the requirements for clean air introduced by the EPA (Environmental Protection Agency). As people began caring more for the environment, they also became more conscious of their fuel usage. The catalytic stove with its secondary burn unit completely uses all of the wood with a complete burn which results in less wood usage. The catalyst which is scientifically engineered burns gases that would normally escape. This is accomplished in a second burn at lower temperatures than those ordinarily required for combustion of gases. The smoke you can see in a wood stove which would normally go up the chimney or flue (along with the creosote) is burned up and used as an additional heating source, increasing the overall efficiency of your wood stove. The way this works is similar to the catalytic converter in your car, except your car doesn't benefit from the secondary heat. It is not a filter, but a combustor which uses chemical catalysis to break apart unburned particles and molecular structures. The chemical reaction is caused by palladium atoms in the honeycomb cells of the catalyst which changes the smoke into carbon dioxide, water vapor, and radiating heat resulting from complete combustion. White water vapor and harmless carbon dioxide are the only emissions you will get coming out of your chimney with a properly functioning and well maintained catalytic system as a secondary burn unit on your wood stove. Makers and manufacturers of the catalytic stove are true and loyal to their product. The catalytic stove features only a selected type of a secondary burn unit. They say theirs is the best. One such manufacturer is the Woodstock Soapstone Company. Their catalytic stoves far exceed the average with quality craftsmanship and materials. Two combustion systems are combined using air in the secondary burn chamber and a catalytic combustor which burns absolutely everything in the wood smoke before it goes into the flue, as mentioned earlier in the processes of properly working catalytic combustion units. Lets take a look at a few of their high functioning wood stoves. The Keystone can heat up to approximately 1,800 square feet (burn and heat efficiency information gathered from customer and user reviews). The average burn time on a single load of seasoned hardwood is about 10 hours when the stove is shut down or on its lowest setting. The draft controls are manual and run on the same principles as the old fashioned wood stoves before secondary combustion was introduced. The natural soapstone walls of the Keystone store heat and radiates it evenly. It features a soapstone cooking area as well, on the top which also collects and radiates heat. The internal steel catalytic combustor boosts the heating power of the Keystone wood stove, so you have a winning heat situation all the way around. This is a very good looking wood stove with its natural soapstone construction, plus it has a large viewing window made of ceramic glass which is constantly being “airwashed” for your viewing pleasure, when the fire is in use. Detailed ornate cast iron is the perfect frame for value and beauty in this excellent example of a catalytic stove. The Palladian and its graceful arching design (especially in the fire viewing window) brings us back in time to the mid-1700's and the work of architecture Andrea Palladio with Greek styling. The Palladian can comfortably heat up to 1,300 square feet with a burn time of 8-10 hours. The internal catalytic combustor cuts down on wood usage, increases heat output, and almost completely eliminates pollution of any kind with a complete burn. This stove is really fantastic in the fact that the feed door is on the right hand side, and does not break up the beautiful viewing window with excess lines. The Survival Hybrid uses a double system with a standard catalytic combustor and a secondary air unit. 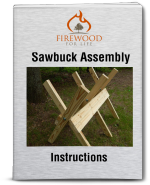 It heats up to a 1,000 square feet and is ideal for extra heat in your home, cabin, or when the power goes out, hence the name Survival. This compact wood stove is designed after the Navaho Catalytic Wood Stove created for the Four Corners and the Navaho Nation. For extra pricing you can get Navaho artwork on the Survival Hybrid catalytic wood stove. 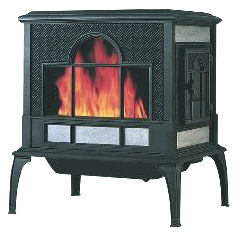 There is a lot of controversy on the wood stove market between non-catalytic and catalytic secondary burn units. There are some fine catalytic stoves which consumers have been very happy with and visa versa. The drawbacks to a catalytic system is the maintenance required and the cost of replacement parts. 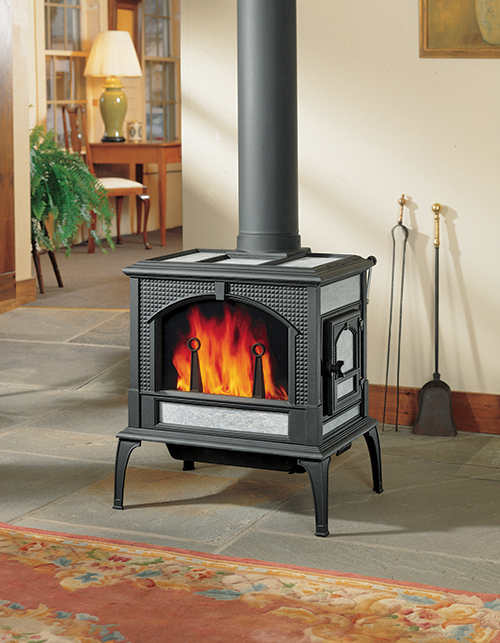 Many home owners feel that they will save money and time with a non-catalytic wood stove. It really is a matter of personal choice. In the beginning of secondary burn units, the catalytic stove was considered the better choice as a primary heating source, but modern advancements have changed this. Both the non-catalytic and the catalytic wood stove have contributed equally to the clean and efficient standards in today's heating and the home environment.